Easy Living Home Elevators is a registered supplier to participants who qualify for NDIS funding. As an accredited NDIS provider we can help you with expert advice on our whole range of mobility equipment and the models best suited to you and your needs. As the NDIS is introduced around Australia, you may have a few questions about how to access the Scheme and what to do to get started. 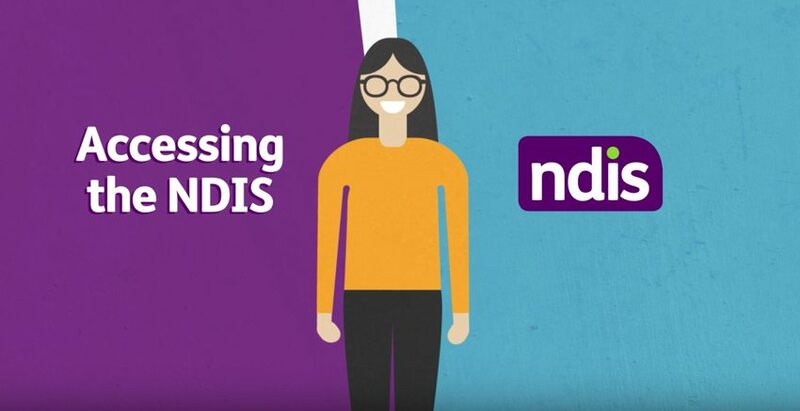 To help you answer some of the more common questions, click here to watch the ‘Accessing the NDIS‘ animation. Find more details about access click here to view the access requirements page on the NDIS website. The National Disability Insurance Scheme (NDIS) is the new way of providing support for people with disability, their families and carers in Australia. As an insurance scheme, the NDIS takes a lifetime approach, investing in people with disability early to improve their outcomes later in life. By supporting people with disability achieve their goals, including independence, community involvement, employment and wellbeing. Supports may include personal care and support, access to the community, therapy services and essential equipment. The roll out of the NDIS began on 1 July 2016 and is being introduced in stages around the country over the next three years to ensure it is successful and sustainable. You’ve been asking and we’ve been reading! Answers to the questions you’ve asked. What is the National Disability Agency (NDIA)? The National Disability Insurance Agency (NDIA) is the agency that implements the National Disability Insurance Scheme (NDIS). Their priority is to ensure people with disability get the support that you need. The Agency will arrange for someone to work with you to develop your NDIS plan. NDIS provides long-term, individualised support that is reasonable and necessary to meet the needs of people with permanent and significant disability. To be eligible for the NDIS you will need to meet the age, residency, and disability or early intervention access requirements. Disability requirement: you will be assessed based on the impact of your disability on functional capacity. Age: you have to be aged between 0-65 years old – if you’re already enrolled, once you turn 65, you can choose to continue with the NDIS. You do not need to be registered with Disability Services, or any other Government department, to participate in the NDIS. This is anonymous and doesn’t take long to complete. How do I apply for the NDIS? • In WA the NDIS trial in the Perth Hills has been extended until 30 June 2017 and will expand into additional parts of WA. Assistive technology (AT) is a device or system that assists someone with independence and safety to complete an everyday task. NDIS plans can include funding forAssistive technology, depending on what is reasonable and necessary to an individual’s disability. Click here to learn more about NDIS Assistive Technology funding. Will the NDIA advise Easy Living Home Elevators, our preferred service provider once I have selected the lift product of my choice? It is your responsibility to contact Easy Living Home Elevators, your preferred service provider and advise us of your intention to receive our services. You also must provide your NDIS number. This number will enable the Easy Living Home Elevators to start claiming the funds against your approved funds. What if I need disability support now but the NDIS has not yet rolled out to my area? In person: You can go in person to your local service centre and a customer service adviser will help. What if I have a disability but I do not meet the access requirements for the NDIS? The National Disability Insurance Agency (NDIA) is able to connect you with community and mainstream supports to help you pursue your goals and aspirations, and participate in daily life. There will be continuity of support provisions if you are not eligible for the NDIS and currently receive disability supports from the Department of Communities, Child Safety and Disability Services. What will change under the NDIS? The NDIS will change the way disability supports are funded and delivered. The NDIS is administered by one national agency, the National Disability Insurance Agency (NDIA), rather than multiple state-based disability service systems. Supports and services to help a person achieve their goals will be listed on their NDIS plan. well as traditional disability supports. People do not need to be registered with Disability Services, or any other Government department, to participate in the NDIS. Easy Living Home Elevators are proud to be a Registered NDIS provider and look forward to supporting people to achieve their goals. STEP 1: LOOK AT YOUR PLAN: find out which categories/support areas your plan has. Complete our specific NDIS Service Agreement form including a list of the services/products you wish to purchase. DOWNLOAD NDIS Service Agreement form here. Service Agreements can be made between you and Easy Living Home Elevators, or between another person (like a family member or friend) and Easy Living Home Elevators. Service Agreements are different from your NDIS plan. Your plan lists your NDIS supports and a Service Agreement is about delivering those supports. The participant has chosen to self-manage the funding for NDIS supports provided under the service agreement. Easy Living Home Elevators will send the invoice to the Participant for payment. Invoice to be paid as per our program and payment schedule. The participant’s nominee manages the funding for supports provided under the service agreement. Easy Living Home Elevators will send the participant’s nominee an invoice for payment as per our program and payment schedule. The participant has nominated the NDIA to manage the funding for supports provided under the service agreement. Easy Living Home Elevators will claim payment from the NDIA for payment as per our program and payment schedule. The participant has nominated the plan management provider to manage the funding for NDIS supports provided under this service agreement. Easy Living Home Elevators will claim payment from the registered plan management provider for payment as per our program and payment schedule. Email your signed paperwork to sales@easy-living.com.au or use the contact form below. Please contact the NDIA if you have any questions about Service Agreements. We will place orders for elevators or conduct a service once we receive payment. I consent to receive information regarding Easy Living Home Elevators special offers, events & the latest products news.